Sickle cell anemia is a disorder that affects red blood cells through altering the structure and function of the hemoglobin (Hb) protein that is required to carry oxygen around the body. Individuals with sickle cell anemia possess hemoglobin (HbS) which is different from the normal protein (HbA). Whereas normal red blood cells can bend and squeeze through small blood vessels easily, HbS can result in cells becoming sickle-shaped and rigid causing small blood vessels to get blocked. Such blockages can prevent sufficient passage of oxygen and may result in severe pain and damage to organs. (GAG) in HbA to be changed to a valine (GTG) in the HbS protein. 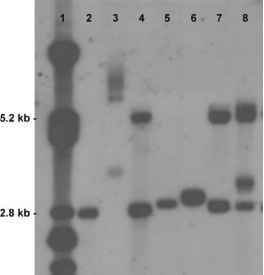 This base difference has a major effect on the folding and functionality of the hemoglobin protein. Other types of hemoglobin, such as HbC and p thalassemia, can exacerbate the sickle cell condition when an individual possesses a copy of the HbS gene. The HbC allele arises from a base substitution adjacent to HbS that converts the glutamic acid to a lysine (AAG). A single HyBeacon probe enables multiplex analysis of the p globin variants to simultaneously genotype individuals with respect to both HbS and HbC alleles.